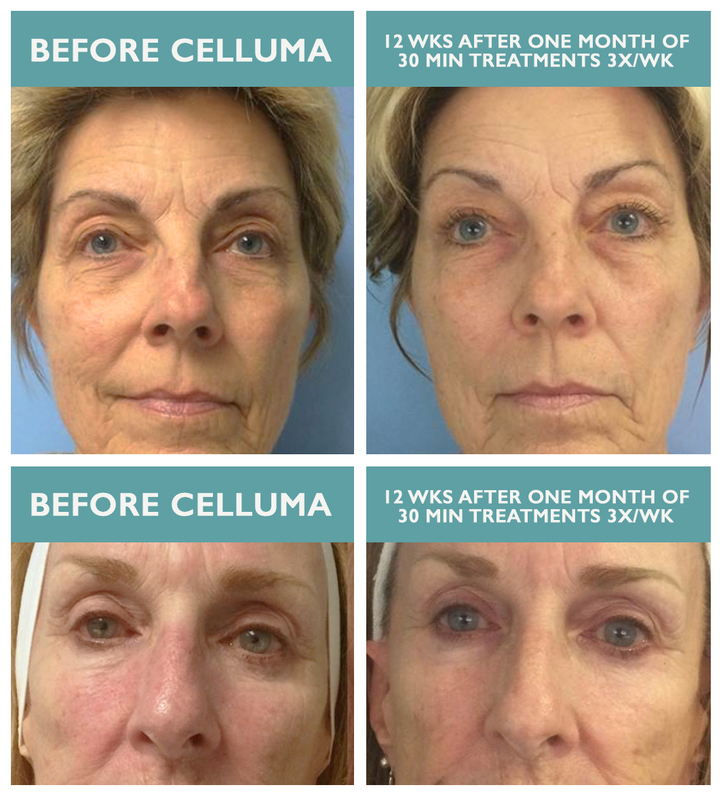 We’re pleased to offer a new, high-tech way for you to reduce the appearance of fine lines and wrinkles, while experiencing an improvement in skin texture, quality and smoothness: Celluma LED Light Therapy Treatments. When acne bacteria builds up in pores, skin becomes inflamed, causing acne lesions and blemishes. 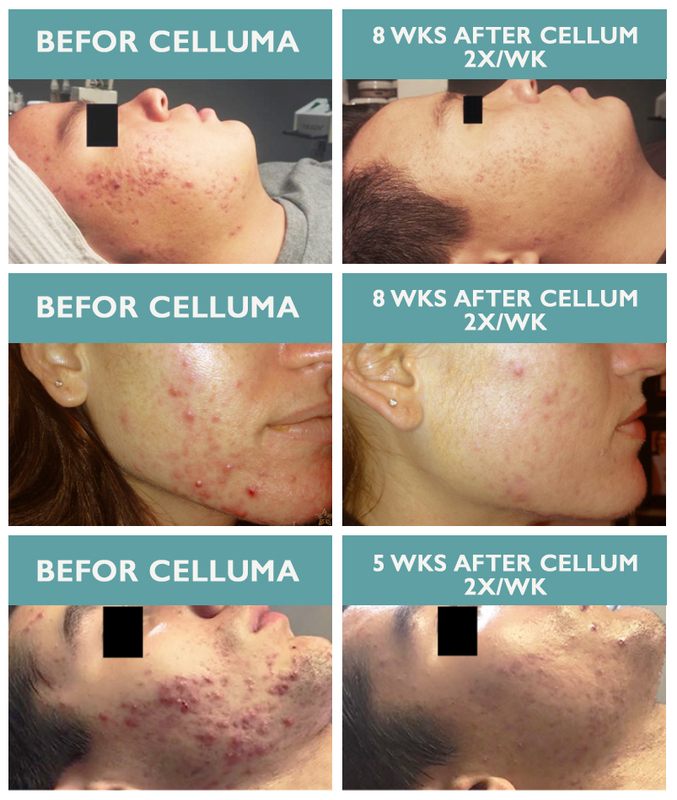 Celluma light therapy works safely and effectively, without abrasive chemicals, harmful UV-rays or side effects, to destroy this acne-causing bacteria — not only clearing up existing blemishes, but preventing future breakouts before they happen. 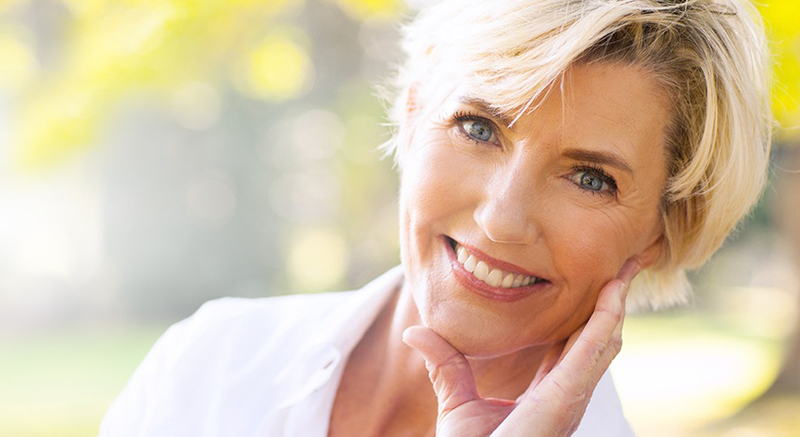 Book a series of treatments and you’ll be on your way to a clearer, smoother, more radiant complexion. There are many ways you can take advantage of this new service, whether as an add-on to any facial or as a series of stand-alone treatments. Please see our menu for pricing details. 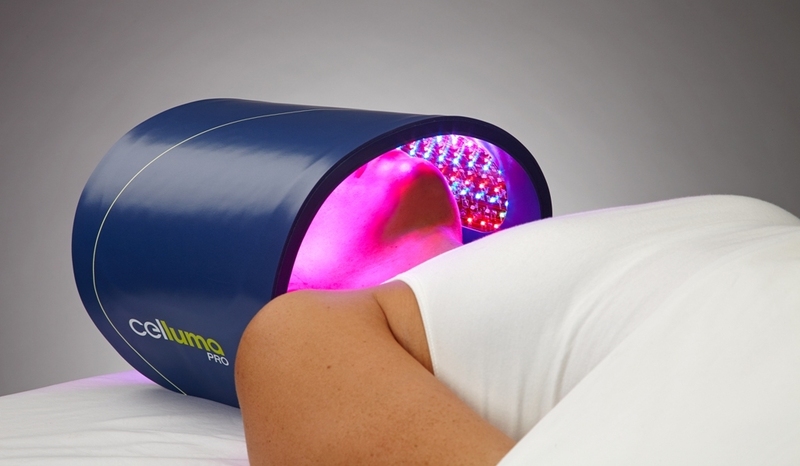 We recommend a series of treatments to see the long-term benefits of LED, but you can certainly try it as a solo add-on to your favorite facial to see if you find it as relaxing and effective as other clients do. They’ve even been known to call it their “magic light”!